Dogs are just like kids, they love to play. While their playtime may seem a bit rough and tough to us as adults, bits of yipping is actually normal during dog play. This is how dogs communicate and interact with each other! 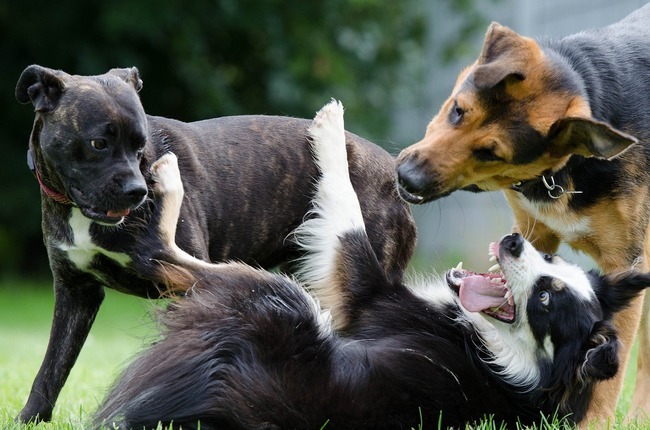 Whether you have a multiple-dog home or take your dog to the park for socializing, it is important to know how to tell if your dogs are playing or fighting. Let’s start by talking two different dog park scenarios and analyzing them. The first is two dogs just engaging in normal play when all of a sudden they start to snarl at each other. The mashup is done within seconds but their owners are rattled. They said that the two dogs were just playing and nothing indicated that a fight was about to ensue. In the 2nd scenario, we have a pair of dogs at a dog park that start to wrestle, flash their teeth at each other and start growling and snarling. In the 1st scenario, the dog owners didn’t even notice the tensions escalating between the two dogs. In the 2nd scenario, the owners missed the mutual signals that they dogs displayed to tell the difference between dogs that are playing or fighting. 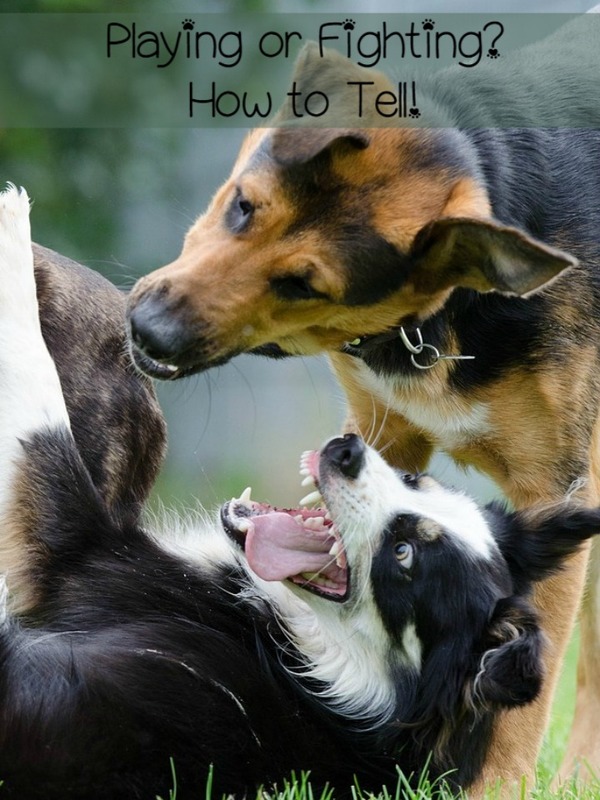 The first thing you need to look to tell if your dogs are playing or fighting is body signals. The posture of both dogs will alert you as to whether they are just wrestling as good buddies or planning an all-out assault on each other. If the dogs are playing, the submissive pooch will crouch down so the alpha dog can sniff him. After the initial meet and greet, the submissive dog will be eager to play. Playing dogs also bow down before they begin, as a signal to let you know that they’re just messing around. There are some signs to look for to tell if playtime is going smooth. If they are just playing, their movements will be loose and constant. If you know your dog- or at least your breed- pretty well, you should notice that he is holding back. Not putting his full force into his play. His bites will be lighter, his pounces not quite so rough. Fighting dogs, on the other hand, are more rigid and alert. Intense growls and baring of the teeth (showing them with their lips curled way up) is a sign that things could be taking a turn for the worse. If your dog’s ears are pinned back and he is licking his lips nervously, he does NOT want to play. 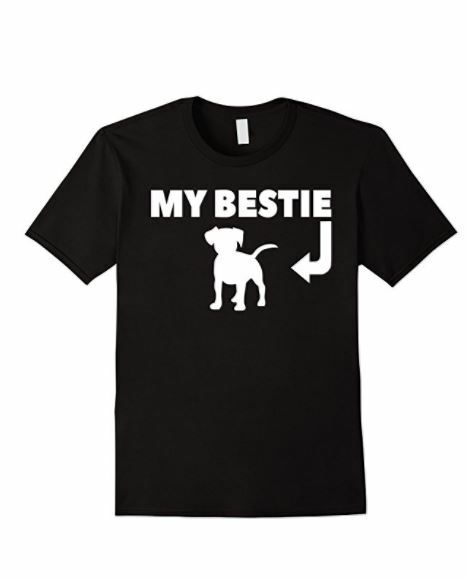 It’s a good idea to keep the other dog away, otherwise a fight could break out. Once you’ve managed to tell when dogs are playing and fighting, you’ll be a lot calmer at the dog park. IF a fight does happen, make a loud clap with your hands or keep an air horn handy for such occasions. DO NOT scream at the dogs and DO NOT get in the middle of a dog fight. During an intense fight, your dog may not realize that your hand is in the way of his adversary. Have you ever dealt with a dog fight? What did you do to break it up?